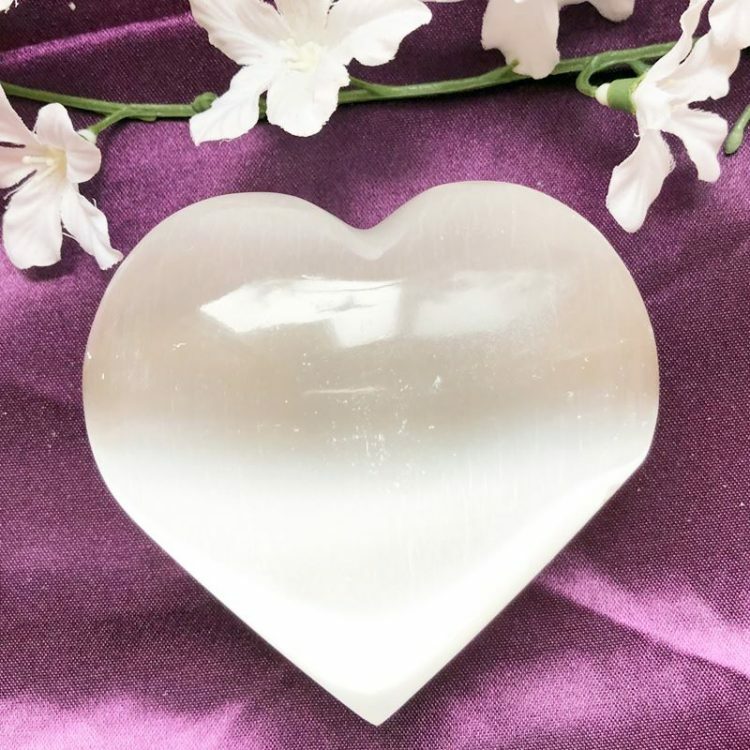 Large stunning Selenite hearts are handcarved. 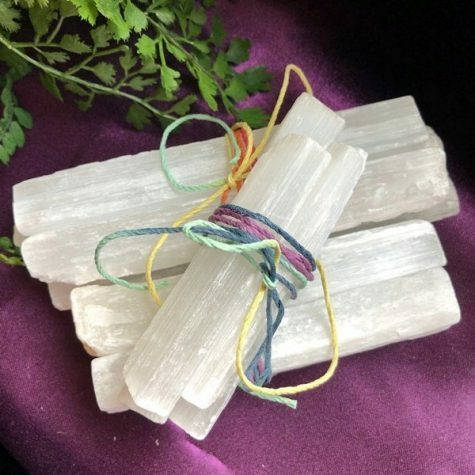 Selenite is a radiant soft stone filled with light, physically and energetically. It is easily scratched and does not like water, so use care. 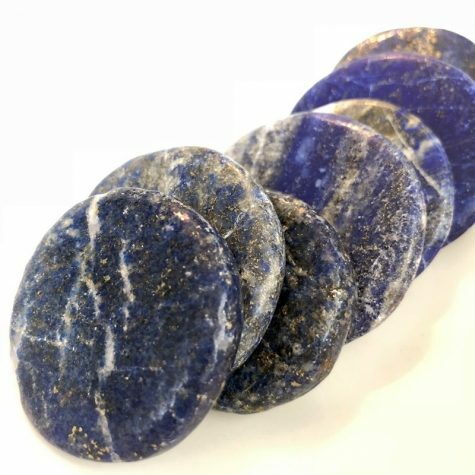 This stone is wonderful for feeling supported with LIGHT! Because of it’s high light content, is all about clearing and cleansing your self, your emotions, your space, and other crystals. 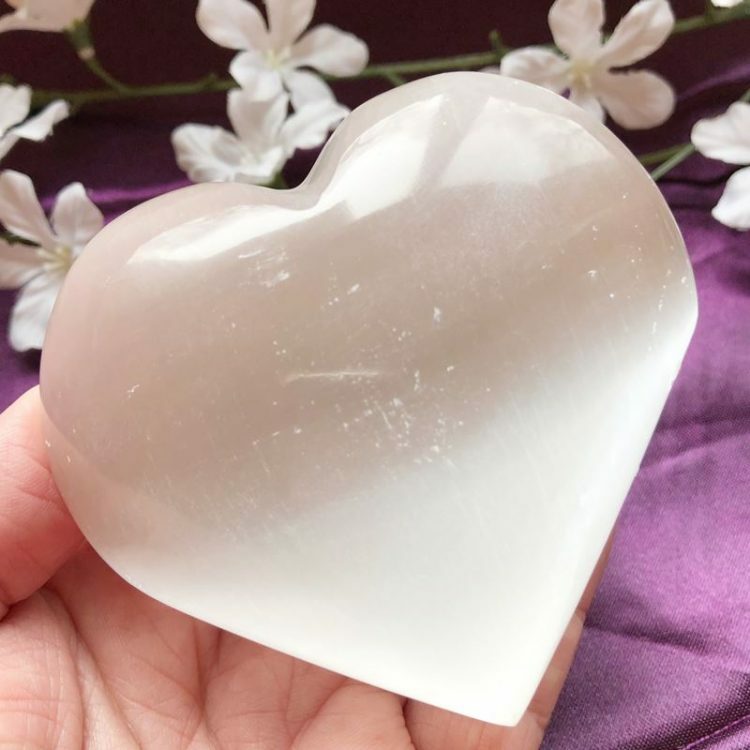 Selenite is a stone that will connect us to our crown chakra and allow a flood of light to enter your being, and aligns us with MORE and Spirit. Definitely a stone everyone should have in their collection! They are a large 3″ in size.